HomeOur BlogTaxTax LegislationDo you own business real estate? These Depreciation-related breaks may help you. Do you own business real estate? These Depreciation-related breaks may help you. One of the benefits of owning a commercial building has been provided by the tax code in the manner of depreciation write offs. While commercial buildings and improvements generally are depreciated over 39 years, special tax breaks that allow deductions to be taken more quickly are available for certain real estate investments. Unfortunately, land is not depreciable. The Tax Cuts and Jobs Act (TCJA) provided a bigger benefit for some property owners when they file their 2018 tax return. However, there are two breaks you might not be able to enjoy due to a drafting error in the TCJA. 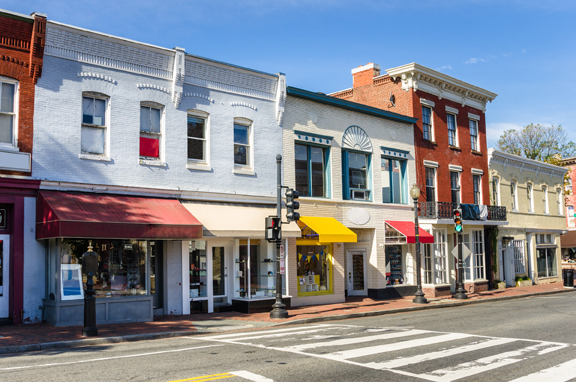 IRS Section 179 offers tax benefits for owners of commercial real estate properties. The Section 179 deduction has existed for a number of years. Initially intended as a way for government to stimulate capital equipment purchases, particularly during an economic downturn, Section 179 permits businesses to accelerate depreciation (up to a threshold amount) during the year of acquisition. This allows you to deduct (rather than depreciate over a number of years) qualified improvement property — a definition expanded by the TCJA from qualified leasehold-improvement, restaurant and retail-improvement property. The TCJA also allows Sec. 179 expensing for certain depreciable tangible personal property used predominantly to furnish lodging and for the following improvements to nonresidential real property: roofs, HVAC equipment, fire protection and alarm systems, and security systems. Under the TCJA, for qualifying property placed in service in tax years starting in 2018, the expensing limit increases to $1 million (from $510,000 for 2017), subject to a phase-out if your qualified asset purchases for the year exceed $2.5 million (compared to $2.03 million for 2017). These amounts will be adjusted annually for inflation, and for 2019 they’re $1.02 million and $2.55 million, respectively. This break historically allowed a shortened recovery period of 15 years for property that qualified. Before the TCJA, the break was available for qualified leasehold-improvement, restaurant and retail-improvement property. Again, the TCJA expanded the definition to “qualified improvement property.” But, due to a drafting error, no recovery period was given to such property, so it defaults to 39-year property. For accelerated depreciation to be available for qualified improvement property, a technical correction must be issued. This additional first-year depreciation allowance is available for qualified assets, which before the TCJA included qualified improvement property. But due to the drafting error noted above, qualified improvement property will be eligible for bonus depreciation only if a technical correction is issued. When available, bonus depreciation is increased to 100% (up from 50%) for qualified property placed in service after Sept. 27, 2017, but before Jan. 1, 2023. For 2023 through 2026, bonus depreciation is scheduled to be gradually reduced. Warning: Under the TCJA, real estate businesses that elect to deduct 100% of their business interest will be ineligible for bonus depreciation starting in 2018. For more information on these breaks or advice on whether you should take advantage of them, please contact your Cummings Keegan & Co., P.L.L.P. professional. On 3/14/19, U.S. Senators Doug Jones (D-Ala.) and Pat Toomey (R-Pa.) introduced The Restoring Investments in Improvements Act hoping to correct the drafting error of the TCJA. The bipartisan legislation is cosponsored by eight additional legislators and supported by nearly 20 industry associations. It will be important to watch progress and see if the legislation is eventually passed.